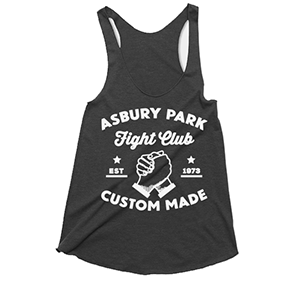 Asbury Park Fight Club collects customer information in an effort to enhance and personalize your shopping experience. This information allows us to communicate with our customers about our products, services and promotions. When you place an order, submit your account information, or participate in Asbury Park Fight Club promotions or surveys, our Site collects your personal information such as your name, e-mail address, mailing address and payment information (credit card numbers and banking accounts). Asbury Park Fight Club will use your information collected online to process and fulfill your order. 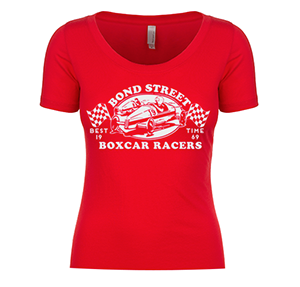 Additionally, your e-mail address may be collected at various points within the Site (including when you place an order with us) so that we can send you any necessary e-mail messages related to your order, such as order and shipping confirmations. In addition, we maintain a record of your purchase history, product interests, and whatever other membership details that might enable us to improve your shopping experience. Analytics such as Site use and traffic patterns are also considered to help us improve the design of our website, the products we make and exclusive services we offer. At Asbury Park Fight Club, we understand and recognize that we must maintain and use customer information responsibly. Please note: You are not required to submit any information to our Site. 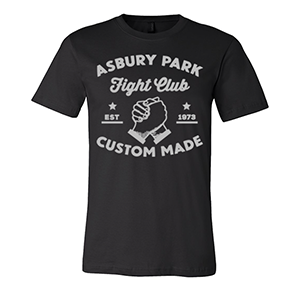 However, without providing the requested information, you may be unable to access certain features of our Site, including viewing our showroom, placing an order or logging into any other Asbury Park Fight Club membership-related services. Using Facebook as well as other Site connection methods, we may utilize your personal data to better your individual Asbury Park Fight Club experience. We take your privacy seriously and abide by all Facebook terms, policies and agreements. Your data is kept secure and no actions are taken on your behalf without prior permission. Web data is collected to monitor user trends on our Site. Analytical data such as hits to our server, traffic patterns and page views shows us where our audience is coming from and how they interact with us online. This type of collected information does not personally identify specific Site users. In addition, like most websites, our Site may utilize “web beacons,” “pixel tags” or other tracking technologies to help us study the actions of our users through non-personally identifiable information. This data may be aggregated with similar data collected from other users to help us improve Asbury Park Fight Club products, services and our overall Site experience. Asbury Park Fight Club may also share your personally identifiable and/or your non-personally identifiable information, including your name, address, email address, and any transactions you conduct on our Site or offline with us with a third-party advertising partner and its service providers in order to deliver you advertising tailored to your interests when you visit certain other websites. Our advertising partner makes the data we provide anonymous. Asbury Park Fight Club will never rent or sell your e-mail address. We do not share credit card information with third parties except for the purpose of processing your order payment and as required by law. If for any reason you choose to access a third party website linked to our Site, you do so at your own risk. We are not held responsible for how these outside parties collect, use, protect or disclose the information you provide them. 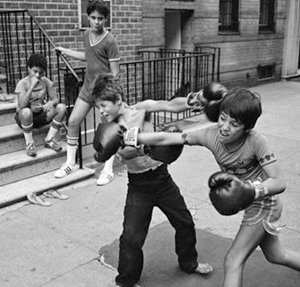 Asbury Park Fight Club.com is intended for users who are 18 years of age and older. If you are under the age of 18, you are not permitted to submit any personal information to us. We employ top physical, electronic, and administrative safety measures to assist us in protecting your personal information and credit card data. These safeguards help us to prevent fraud and unauthorized access as well as maintain data accuracy. In addition, we use professionally reasonable efforts to block access to your personal information from Asbury Park Fight Club employees and corporate partners to ensure your personal information is always kept safe. Asbury Park Fight Club takes your privacy seriously. When connecting with us, we want our customers to feel confident that their personal information and credit card data is protected. Just as we are dedicated to bringing you the very best products, we are equally committed to providing our customers with a safe and secure shopping experience. The personal information we collect from our Site helps us better understand the interests of our audience in an ongoing effort to bring you improved service.